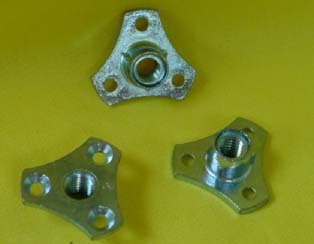 Both are used to attach hook-type head boards to bolt on frames. Modi plates are designed to compensate for any difference between the width of the headboard and the bed frame. Adjustable, up, down and from side to side. Attach two twin bed rails to a King-Size Headboard. 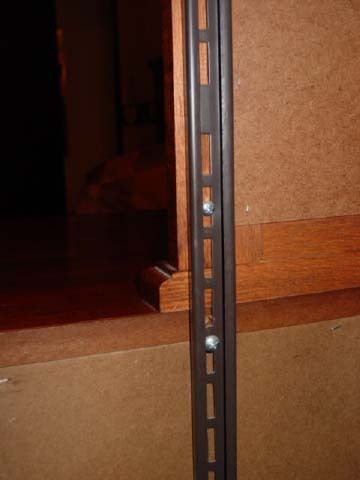 Swing hinge allows the bed to swing apart for easy cleaning. Display headboard and footboard on sales floor. 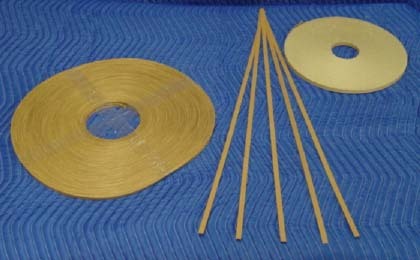 Available Thread M6, M8 & M10 (*various lengths). Hex Head. 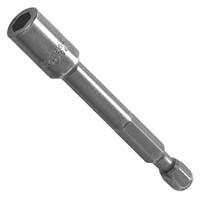 Use wrench or socket to fasten. 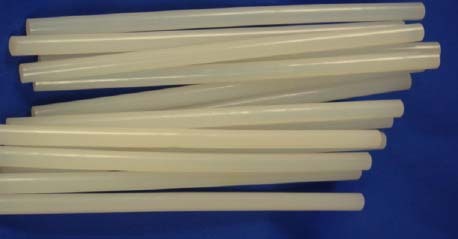 3/8 x 16 (*various lengths). Hex Head. 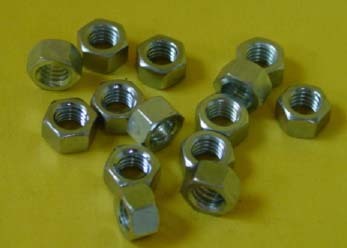 Use for missing Tee-Nuts, fastens from the outside. 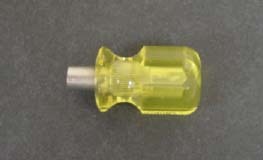 Metric Drivers also available for easy insertion (sold separately). 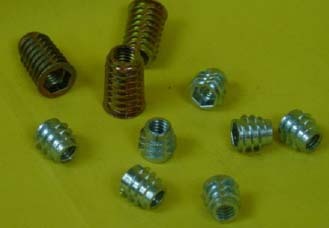 Available Thread ¼ x 20, 5/16 x 18 and 3/8 x 16. We stock ¼ x 20 and 5/16 x 18 in both long and short shaft/barrel lengths. 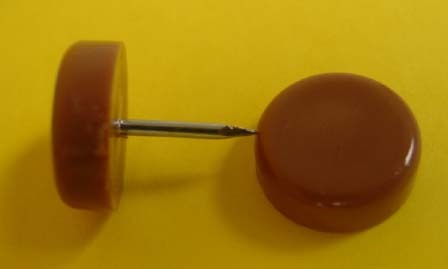 Round head, Phillips drive up to 1/2". Larger sizes slotted. ¼ x 20 and 5/16 x 18 Thread. 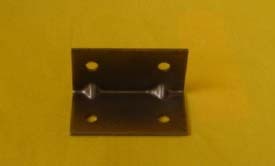 Recex Head (square or Phillips drive) heat treated, plain finish, cutting threads resist wood splitting. Available in 6, 8 and 10 sizes. (Brass finish available also in 6). 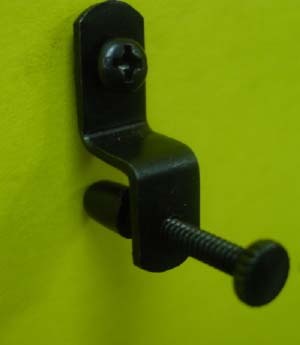 Metric threaded screws for drawer handles/pulls. 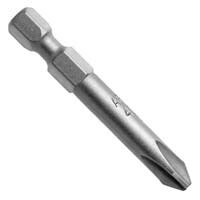 Small head makes it easy to countersink. 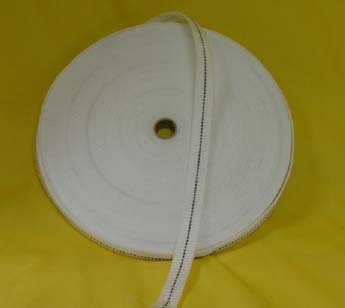 Size 6 x 1 5/8"
Thread 8/32 use for door handles and pulls. 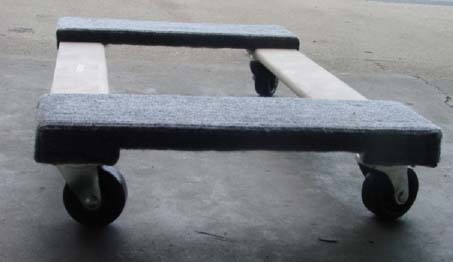 Sizes Available 3/16, ¼, 5/16 and 3/8"
Sizes Available ¼, 5/16 and 3/8"
2" Caster, Twin Black Wheel. 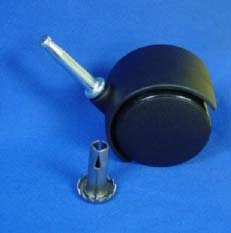 Use with socket/push-in type stem casters. 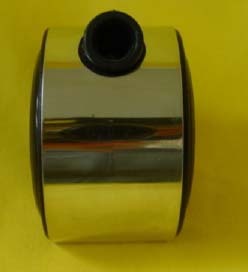 Metal socket sleeve 3/8" hole, ¾ diameter base, 1 ¼" height. 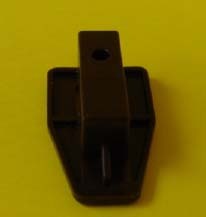 Black nylon bushing for hinges. Use to connect two pieces of wood together. Great to cover up screw heads. 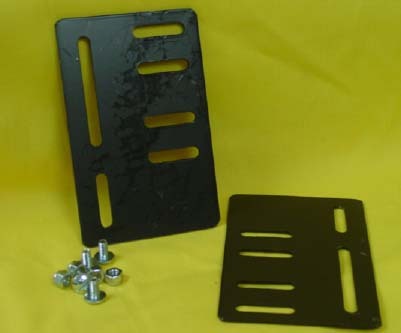 Case runner component fits inside metal case runner which is fastened to case. Fastens to the back of drawers then slides freely over metal case runner. 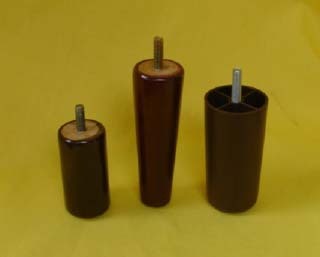 Brown color, with 5/16" bolt attached. 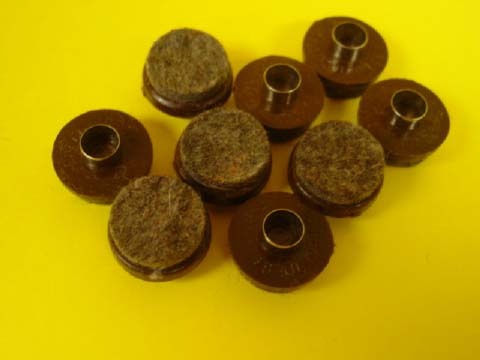 Brown color, with 5/16" thread bolt attached. 51 2" 2 Holes 11 Guage 2"x1/2"
52 3" 4 Holes 14 Gauge 3"x3/4"
53 4" 4 Holes 12 Gauge 4"x3/4"
LIF 2" x 2" 4 Holes 16 Gauge 2"x2"
STK502 3" 4 Holes 22 Gauge 3"x3/4"
LS5 Clear Plastic For 1/4" Hole ½"
With brown vinyl coated foot. 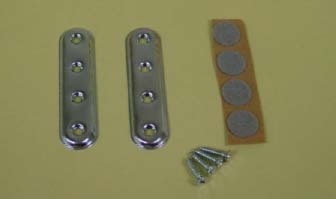 LS7 Antique Brass Metal For 1/4" Hole ¾"
LS8 Bright Brass Metal For 1/4" Hole ¾"
LS10 Clear Plastic For 1/4" Hole 1"
LS11 Clear Plastic For 1/4" Hole 1/2"
LS12 Tan Plastic For 1/4" Hole 1/2"
With screw-hole to secure wood shelves. 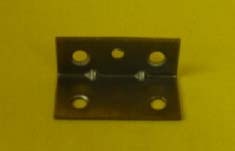 LS13 Antique Brass Metal For 1/4" Hole 7/8"
Corrects leaf height to match table height. Use to join 2 pieces of wood together. 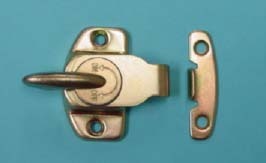 Brass plate, zinc handle, spring loaded cam action. Includes lock and catch. Used to hold glass panels in cabinets. 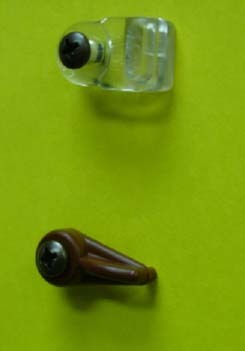 TBC Clear Rectangular Button w/ removable 1/8" tip. Packaged 12 rods per carton. 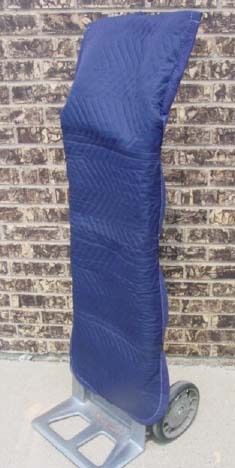 Three spring steel clips, covered with webbing and sewn into 24" x 72" quilted pad. 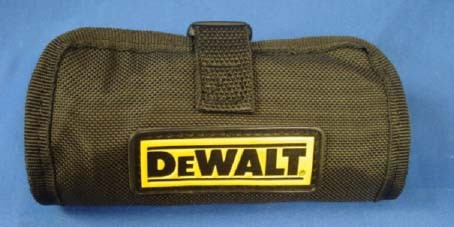 Protects furniture and frames going thru doorways. 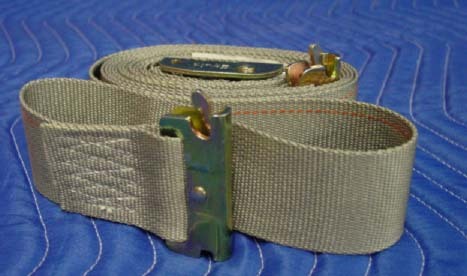 2" Strap with CAM Buckle with Spring E fittings. Woven cover, 1" zigzag stitching, double stitched binding. Differences between pads include: color preference,look and weight. Some customers prefer the Deluxe pad which provides a more professional look. 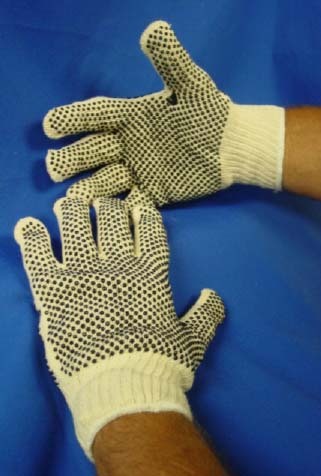 Standard heavyweight string knit work gloves. 7 Gauge cotton/Poly-yarn, rubber band cuff. Natural white color. Black PVC resins coat both sides os gloves which creates a tacky grip for easier handling. 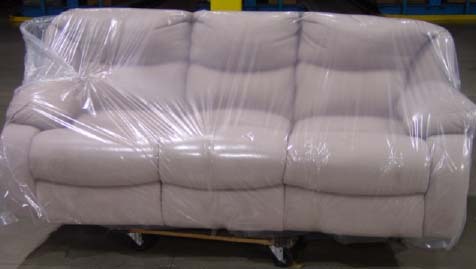 Move furniture and floor samples damage free. 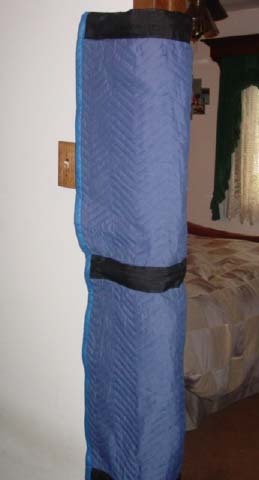 Quilted cover attaches with hook and loop straps. Lightweight aluminum, strong and durable, assembled in modular fashion making it easy to replace a nose or wheel. Hard Tires 8" x 15/8"
Hard Tires 10" x 21/2"
Breakaway brown plastic wedges. 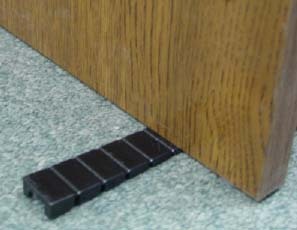 Ideal for uneven Floors, Door adjustments, Pier Cabinets etc. Save a service call by furnishing delivery Personnel with this easy to use item. A must for outside service. Use to keep pads or plastic on furniture. Can also be used to prevent doors from opening during transportation. 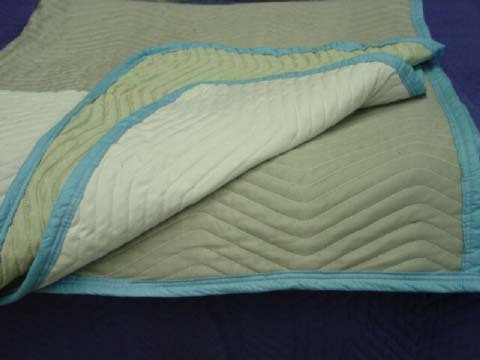 Allows easy movement of bedding without scuffing. PB56 Use for Love Seats, Chairs, China cabinets etc. 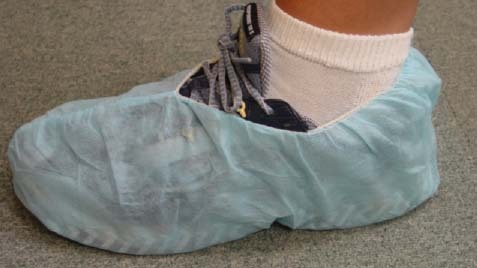 Non-woven Fabric Covers fit over, shoes, protecting customer's carpet from weather elements. Use to keep skirts up on Upholstery Pieces. Can also be used to keep plastic on merchandise. Straps and Ties secure shipments on delivery trucks. Won't mar or burn furniture. Great for customer pick-ups, tying down trunks or tie downs on trucks. Loop sewn into one end. POLYETHYENE BAGS 1 Mill. AND 3 Mill. 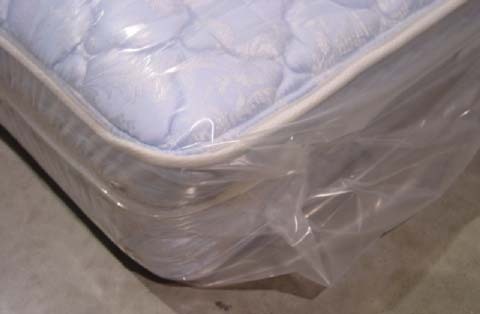 MATTRESS BAGS - REGULAR 3 Mill. 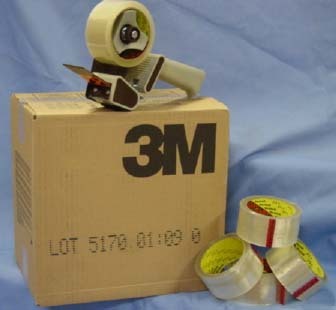 Use for sealing, securing and wrapping items together. 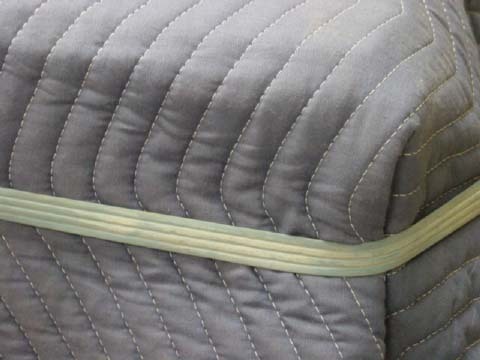 For instance: Use to keep Upholstery Skirts raised in place, to secure plastic bags to Upholstery items, or to prevent cabinet doors and drawers from opening. 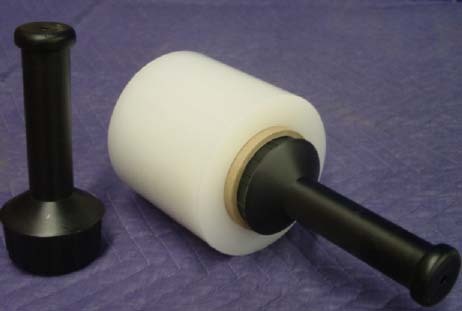 Heavy duty dispenser, features control tension knob and adjustment for height to accomidate up to 18" Stretch Wrap rolls. 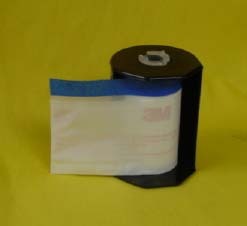 Plastic hand Held dispenser for 5" Stretch Wrap. Use under mirrors, hutches, Show Room accessories etc. 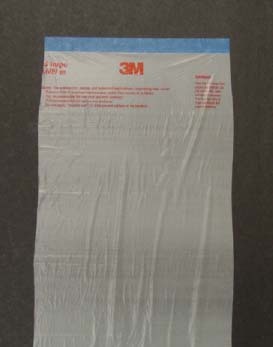 1" wide x 100 ft., Pressure Sensitive Adhesive. Excellent to use under all types of Furniture. 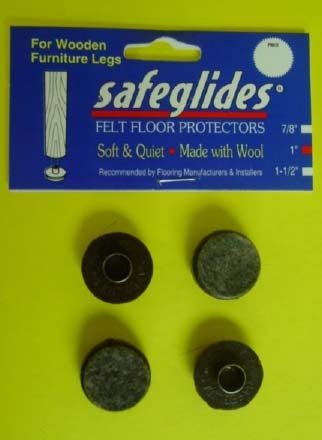 Protects customer's floor from damage. 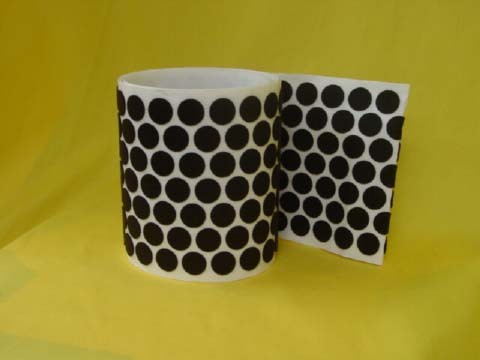 Felt dots individually packaged, White, 1/8" thick, available in four sizes. 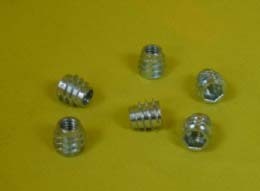 Threaded adjustable, plastic glides. Won't rust. 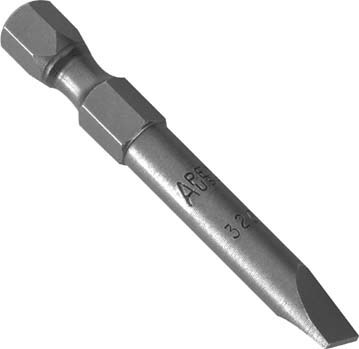 KG3000 5/8 diameter 1/4-20x1" 1 ¼"
KG3001 7/8 diameter 1/4-20x1" 1 ¼"
KG3002 1 1/8 diameter 5/16-18x2 1/4" slotted 2 ¾"
KG3003 1 1/8 diameter 5/16-18x1 1/2" 1 ¾"
(nail-in) single nail with thick shock and sound absorbing cushion. 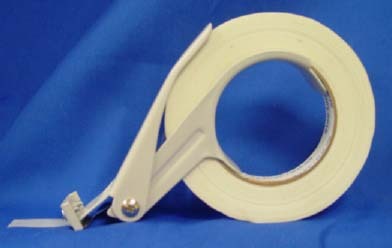 White Nylon (won't rust) 7/8" Base. Single nail with thick black sound absorbing shock cushion. 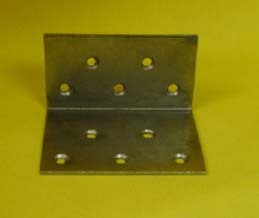 Use to level drawers and other applications where minor height adjustment is necessary. 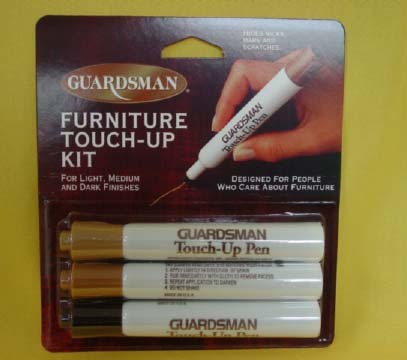 Use under Cabinets, Furniture and Upholstery. 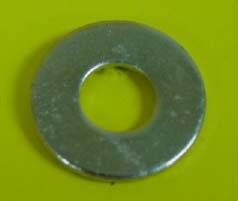 Metal ¾" Diameter flat base. Use under Cabinets, various Furniture pieces, and Upholstery. 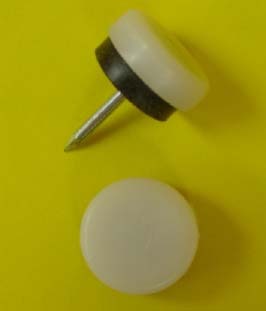 Felt hammer-in floor protector glide, superior holding strength using rivet style in place of single nail. 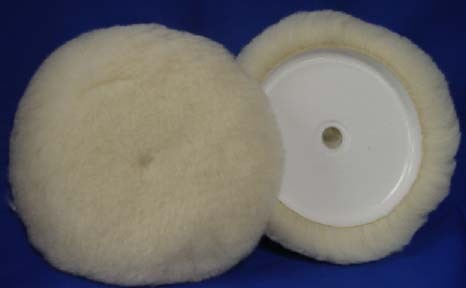 Wool felt pad attached to molded plastic base. Top of the line, Will not rust! 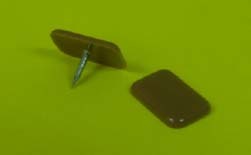 Purchase in bulk for store/shop use or packages (four glides per) for resale in your show room. Sold in three popular sizes and two colors (brown or white) selections. 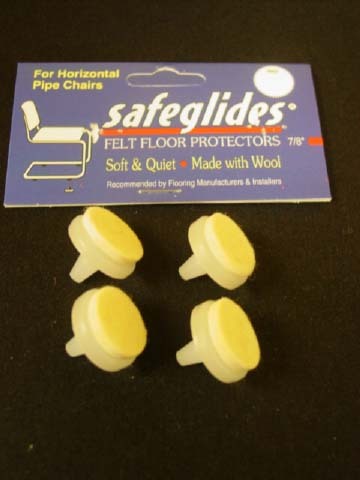 White Felt Floor protecting glide, with plastic stem, inserts into hole in base of chair, 7/8" Diameter base won't rust. Sold in packages of four. Very soft and supple natural fiber. Designed especially for glazing and/or high-lighting applications. 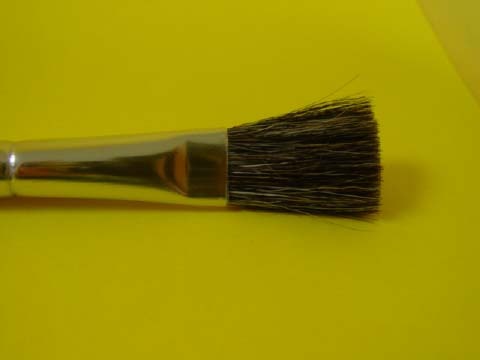 Grey handle, fan shaped bristle with flat ferrule. Overall length 8 1/2" _ 9 1/2". 100% red Sable, round brush with a tapered fine point allowing for long strokes. Can use to lay in a color or create a pencil thin line. 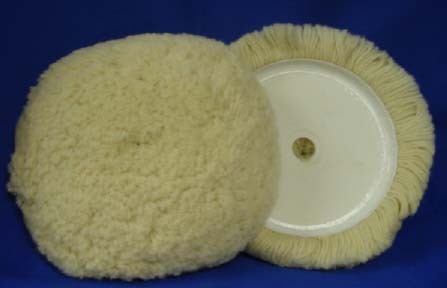 Bristles snap back to original shape after stroke is complete. Excellent all around brush. 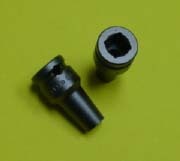 Round black handle, round ferrule, overall length approx. 6 ½" _ 7". Available in 10 popular sizes. 100% red Sable, round brush extremely thin and sharply pointed. Use to lay in missing Grain. Round black wood handle, round ferrule, longer bristles than 3250 series, overall length 6 ½"- 7" Available in 4 sizes. 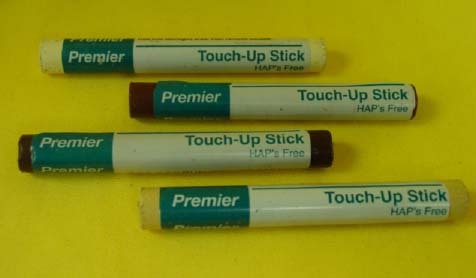 Resin based Burn-In sticks. Excellent melting and flow out with heat knife application. Available in 36 popular colors. Burn-In lube protects the finish from heat damage. 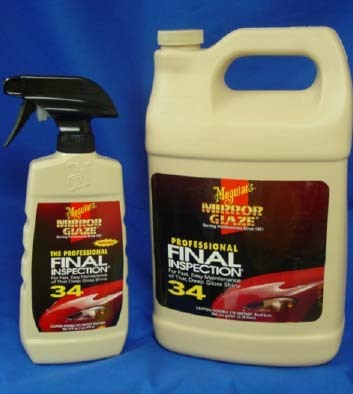 Lube minimizes sanding while preventing excessive spreading of Burn-In material. Available in two sizes. China markers write on almost anything including glass. Can be used for graining, distressing, or to create a worn look. Follow with clear top coat. Cream metallic gilt for accenting carvings and repair of metallic finishes. Follow with clear coat after application. Fine pointed synthetic tipped pen. Use to apply fine line grain where needed. Also used for minor scratch cover. Four colors available. Use to remove dust, dirt, lint, and other particles prior to applying first coat of finish or sealer. Inexpensive, practical marker set. Contains three markers-Light, Medium, and Dark Brown. Great for worn edges and hiding scratches. Excellent for delivery personnel. Capillary style marker that stays wet for the longest run. Excellent flow rate. Durable long lasting tip. Fade resistant even after top coat is applied. Stain and finish in one marker. Pump action valve marker. 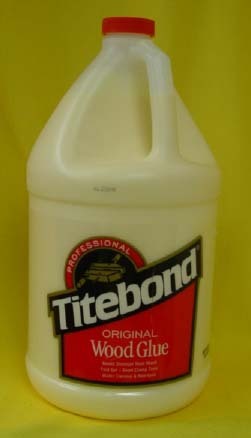 Used to repair scratches and worn edges with ease. Valve action enables user to control flow out. Fade resistant and even application. Color stays the same with application of top coat. HAPS Compliant. 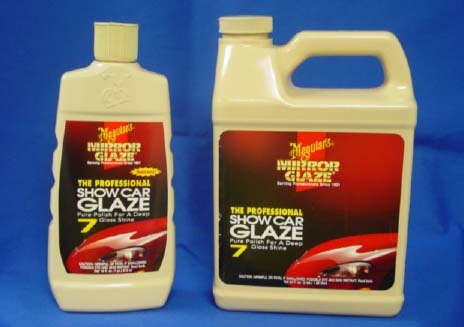 Formulated for small defects, minor dents and scratches. Easy to use. Simply rub stick until scratch is filled then wipe off excess with rag. Top coat can be applied for maximum protection. 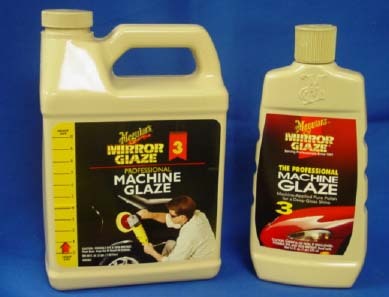 Use to repair wood damage, rebuild crushed corners, or to fill in missing wood pieces. Light weight filler for easy sanding. Used for wood repairs. Tube form. Simply twist or cut a piece from the tube, knead, and apply. 15 minutes to harden. Can be drilled, sanded, or finished. 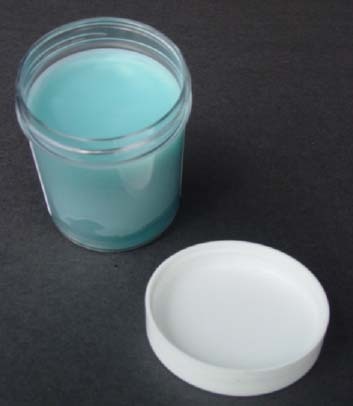 495W White Hardener 4 oz. 498R Red Hardener 4 oz. 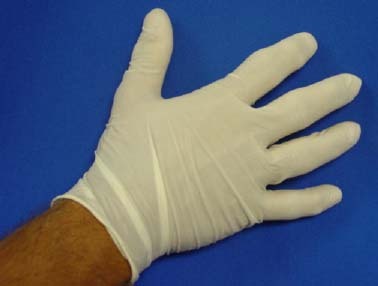 Latex disposable gloves. 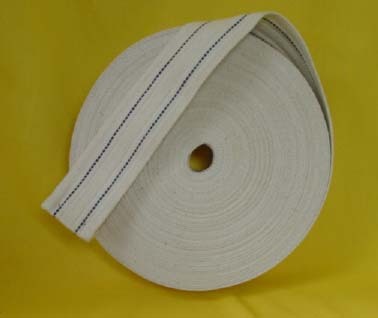 Used for protection during removal of old bedding or during deliveries of light colored furniture. Can also be used in home service situations. 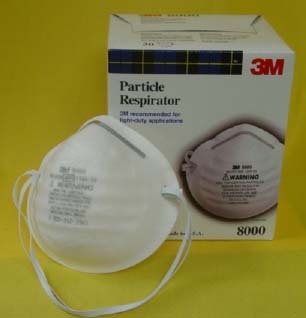 Particle respirator mask with elastic band. Used during sanding or sweeping. 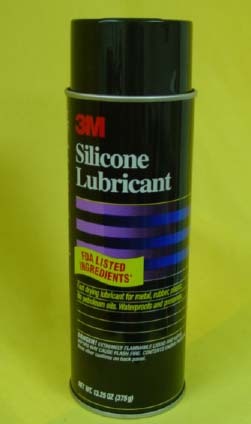 Fast drying lubricant for metal, rubber, and plastic. 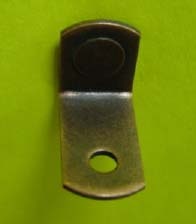 Used on drawer glides, hinges, casters, etc. Use for rubbing down surfaces. Smoothes lacquer or buffing to high luster. 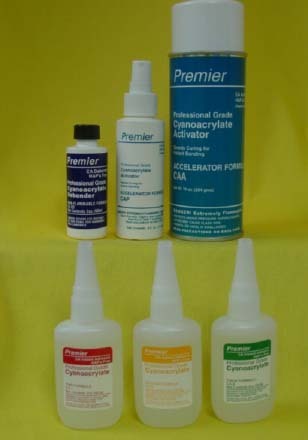 CA instant adhesive products make for quick and lasting repairs. Super strength, dries instantly with accelerator. 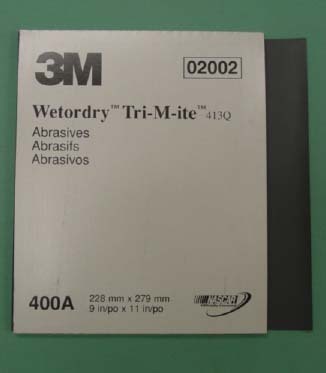 Scotch-Weld Epoxy Adhesive. No mess, no mixing, glue flows through mixing nozzle to insure proper mix. Clear color. 3-5 min. work life. Fast cure: 20 mins. Excellent interior yellow woodworking glue. Use on hard and soft woods. Heat resistant, sands easily, strong and paintable. 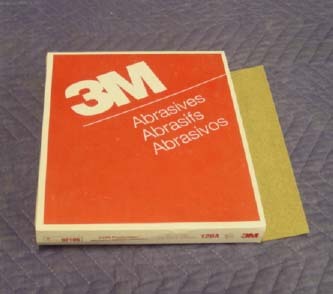 2 Part adhesive. Requires mixing. 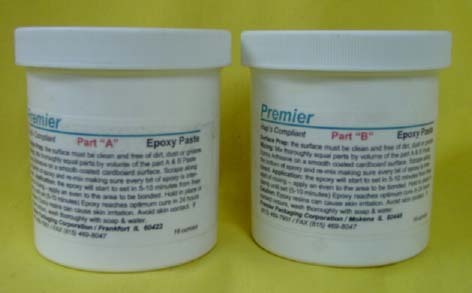 Part A (resin) and Part B (hardener) together. Two 16 oz tubs supplied. 1 each of Part A and B. Use as general purpose rapid set adhesive. 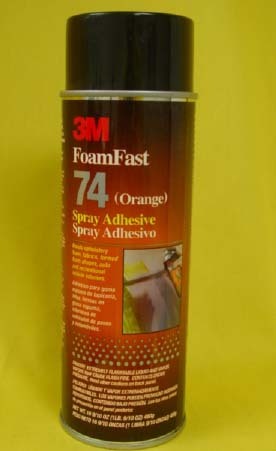 Spray adhesive bonds upholstery fabrics and foam. 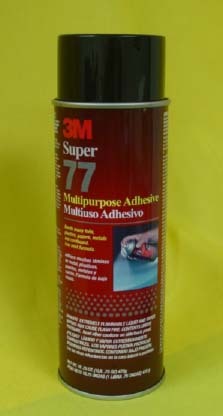 Strong adhesive used for bonding metal, plastics, and wood. 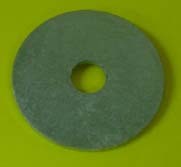 8" Foam polishing pad. 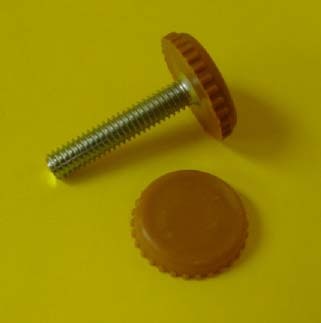 Threaded screw on backing plate attached. 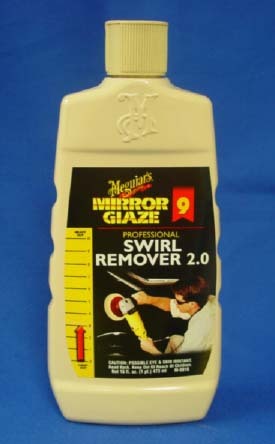 Produces swirl-free high-gloss finish. 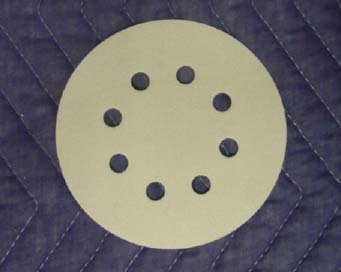 7 ½" Compounding Pad. Tufted wool. 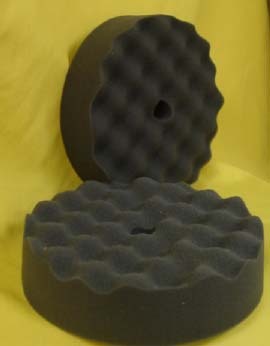 7 ½" Waffle foam pad. Excellent for high gloss finishes. Swirl free. 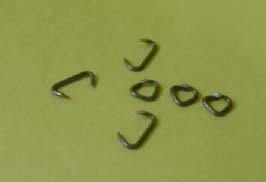 Threaded hook and loop. 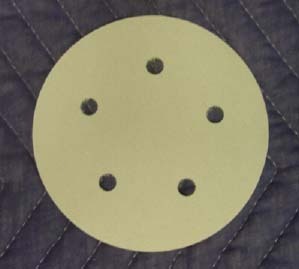 7" Backing Plate. 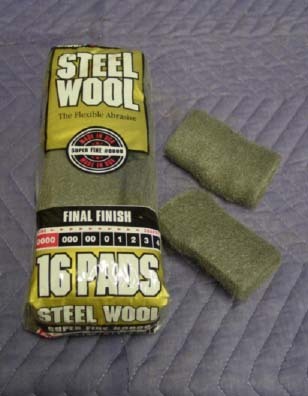 Use with hook and loop pads. Best to increase size of bonnet ½" larger than backing plate to avoid burning edge. Use when staging furniture for delivery. Use Final Inspection to wipe finger prints, particles, or to dust furniture leaving a factory fresh finish. 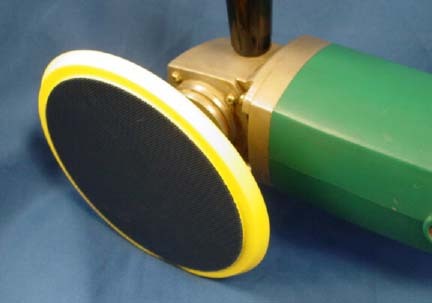 Moderate abrasive cleaner used to remove medium surface defects. Best results when used with polisher. 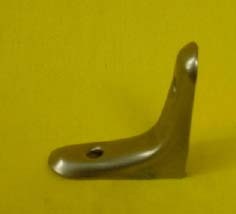 After compounding and polishing, use sealant to protect finish. Apply by hand or with polisher. 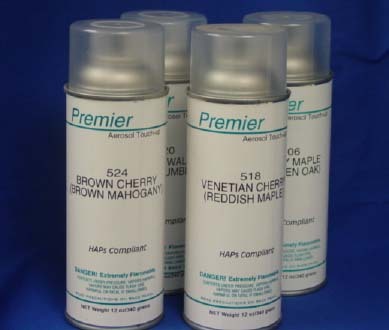 Non-abrasive polish used to achieve a deep, high-gloss finish. Best results when used with polisher. Premum polish will outshine all other hand applied polishes. Apply by hand or with polisher. Cleaner/Polish is blended to give a deep dark shine while removing light scratches, swirl marks, and minor defects. Apply by hand or with polisher. MO716 16 oz. MO764 64 oz. MO916 16 oz. MO9128 128 oz. Aggressive compound. Maintains high rate of cut with constant pressure. 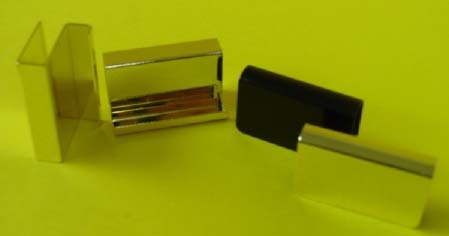 Buffs to high gloss leaving minimal swirl marks. 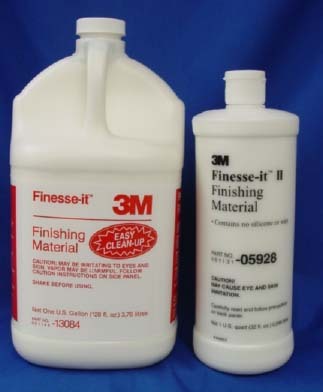 Finishing material used to remove mico-fine scratches. 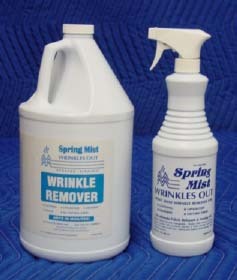 Also removes swirl marks afer compounding. Leaves a clear, glazed finish. Use on all high gloss finishes. New tee shirt material. Large cut pieces. Economical cloth as used in bedsheets. White color. Large cut size. 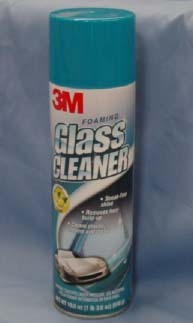 Lint free, excellent for glass. Approx. size 19 x 14"
Excellent for shop and general use. White color. Large cut pieces. Preimum, top of the line rag. Tee shirt material sewn together, bound and stitched around edge, producing a quality rag. Approx. size 18 x 20"
Washed and bleached for softness and absorbancy. Excellent all-purpose general rag. Great for dusting. 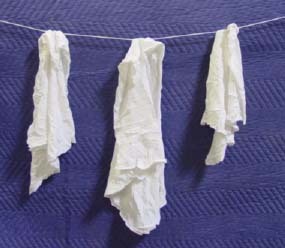 Super soft, highly absorbent cloth. 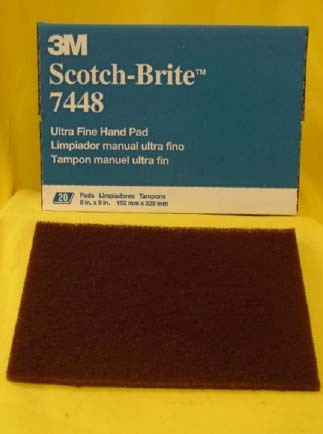 Used for wiping, staining, and refinishing. Excellent for use on high gloss finishes. 100 precut pieces supplied on roll. 18" x 12" 3 ply. 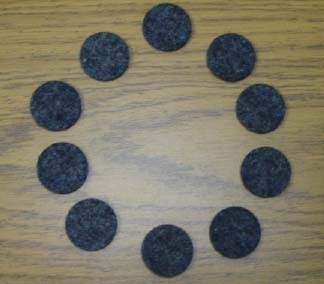 5" Hook and loop sanding discs. Aluminum oxide. 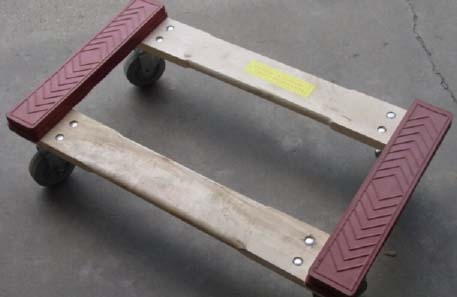 Used for reconditioning wood surface before finishing. 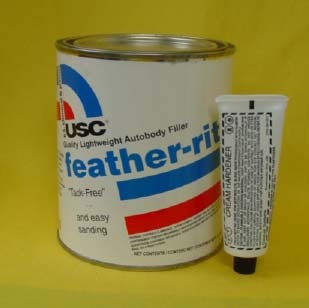 Recommended for removal of varnish, paint, and lacquer. Sands smooth. Made with garnert, a natural mineral. For wood and metal sanding. Open coat with aluminum oxide mineral. Use on white wood or between sealer coats. 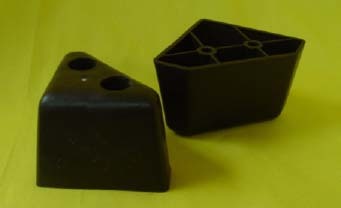 Silicon carbide mineral. 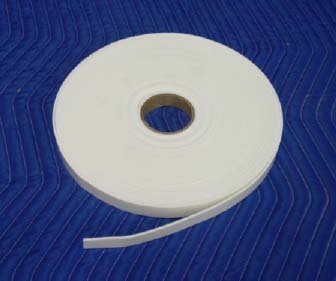 Glue bonded open coat with anti-loading Fre-Cut Coating. Stearated. 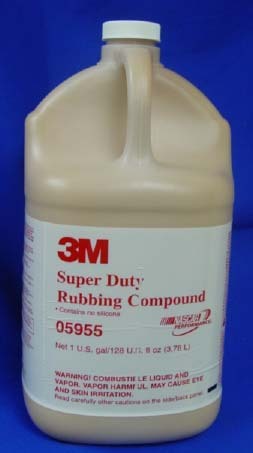 Used to produce a rich, deep, smooth finish. 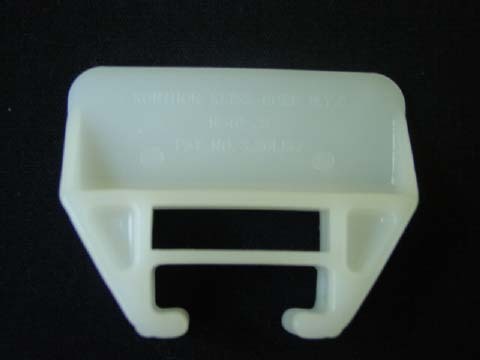 Silicone carbide mineral. Can be used wet when adding water and/or detergent to the surface. 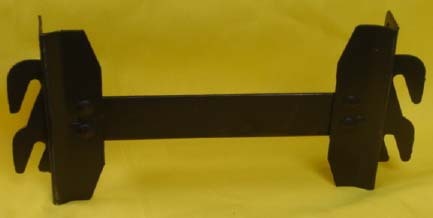 Metal bodied holder which houses a single edge blade. Adjustable for depth. 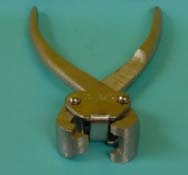 Use for cutting, trimming and scraping. Fits most single edge scrapers. 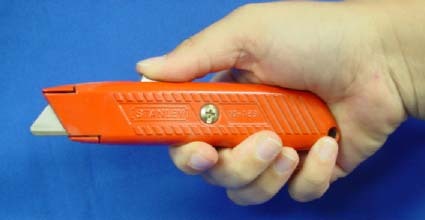 Heavy duty, metal body, spring loaded, self retracting blade. Knife is designed so blade can be exposed only while applying pressure to the button which prevents the blade from being exposed when not in use. Best on the Market. 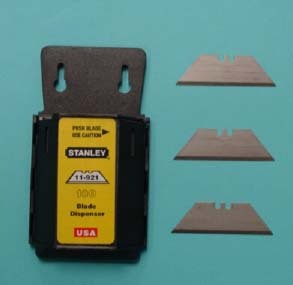 (4 positions) blade for safety. Specially treated 100% cotton dust cloth. 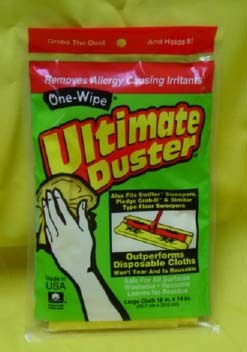 Absorbs and locks dust. non-streaking cleaner that is also effective for use on plastic, chrome, and metal. Premium polish protects while leaving behind a brilliant shine. Safe for all wood surfaces. 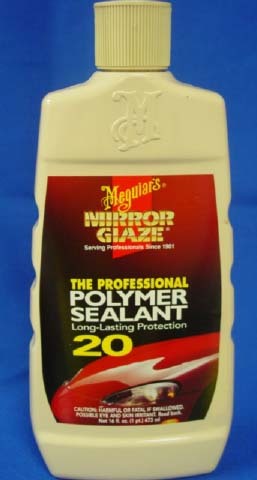 Excellent to use with glass, cabinet doors, lids and drawers. Self adhesive backing peel and stick, non maring, no skid. Used under glass tops or under accent pieces. Holds glass in place and protects against surface scratches. Use on the back of picture frames to prevent marring of the wall. Cushions and keeps glass shelves in place. Can also be used behind mirrors or behind cabinet doors. 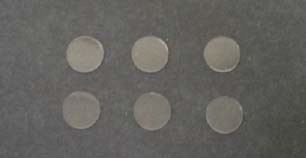 Discs provide space between surface and glass. 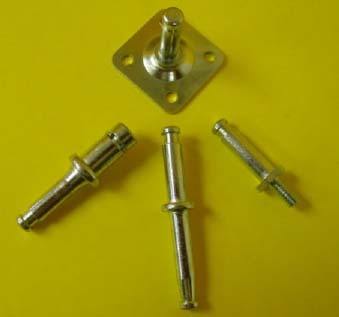 Stem fits into pre-drilled holes on table bases. Use as cushioning for glass tops. Item 1215 can also be used under chairs. 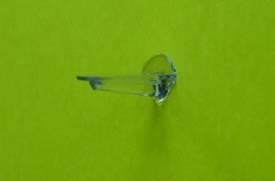 1215 Hard Plastic ¾" 1/8"
12509F For Use Under Glass Semi-Soft Plastic ½" 1/8"
12909 For Use Under Glass Semi-Soft Plastic ½" ¼"
Height is the thickness of the bumper head, which remains above the stem surface. 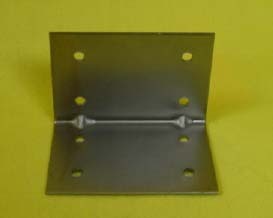 Bracket eliminates spaces between Wall Units, Entertainment Centers and Bookcases,. Huggers join end panels together. 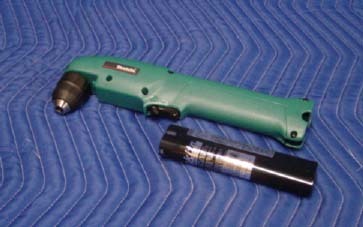 Trigger fed electric glue gun. High volume melting chamber for fast flow and a long lever handle with clutch to ensure a fast, steady , and even application. With built in drip tray. Bonds almost anything within 60 seconds. 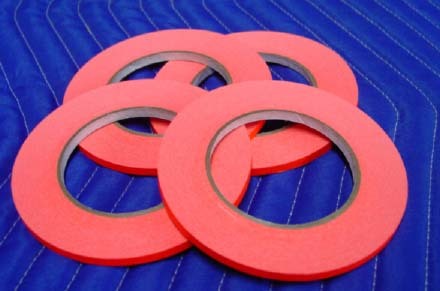 Used in woodworking or with leather, canvas, fabrics, cardboards, plastics and metals. All Purpose Glue Sticks for use with Arrow Hot Melt Glue Gun. Twisted metal Picture Hangers include nails. Carded for easy use or resale. Wireless adjustable mirror-picture hangers with nails. Screw adjustment to raise or lower each side for perfect placement. Solves the complications involved with leveling issues. 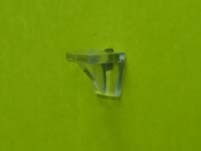 Solid loop Hanger used to secure Mirrors, Pictures, and Curios to walls. 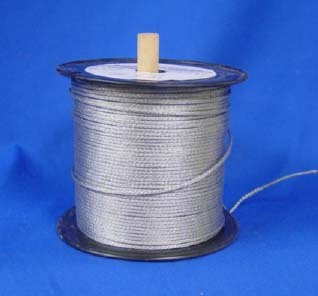 Braided wire, approx. 5 lb. spool. Flexible, easy to work with. 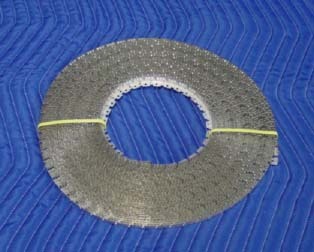 10 2 hole 1 5/8"
91 1 hole 1 3/8"
708 2 hole 1 7/8"
Used to clean, condition, and finish wood, plastic, or metal. Fast cutting, leaves a consistent finish. 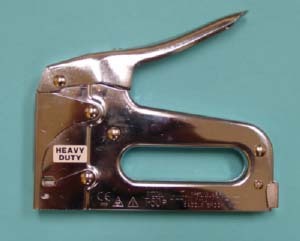 Cut to length for hand use. 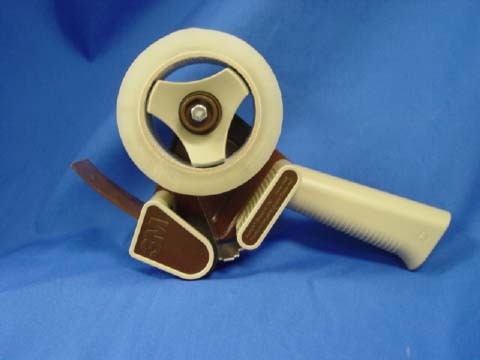 Can also be used in many straight rubbing machines. 2" x 55 yards per roll,clear color. Film backing with Hot Melt adhesive. 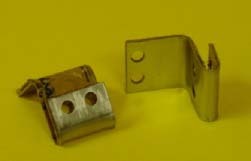 Used in both Commercial and Industrial applications. Sold in both rolls or cases (36 rolls per case). 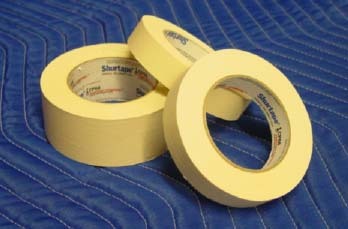 2" x 110 yards per roll, clear color. Great for installing mirrors to back panels. Excellent adhesion strength. ¼" X 60 yards per roll. Sticks to items without harming finishes. Printable. Moderate tack. Multiple uses. Great for highlighting defects after uncartoning. Another helpful hint: delivery personnel can use to indicate reasons for customer refusal. 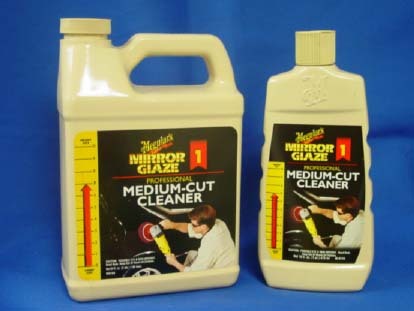 This product removes cleanly leaving no messy residue behind, recommended for use in Repair shop applications. Sold in both rolls and cases . Saves time, provides protection allowing professional paint lines, Great protection from over sprays, brush slips during touch-ups and repairs, etc. Dispenser has perforated edge for easy clean cutting. Lightweight, roll-on pistol grip dispenser. 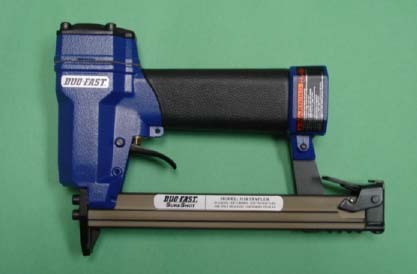 Easy to load, adjustable tape brake allowing control of tension and precise delivery. Durable, high impact plastic and metal construction. 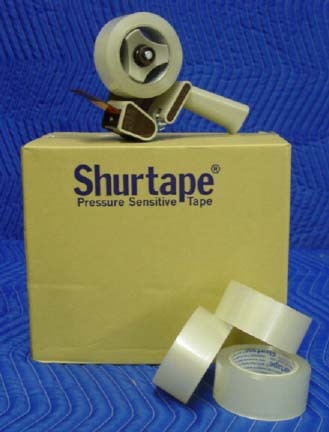 Use with clear sealing tapes. 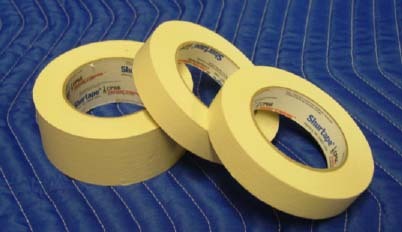 Use with filament or masking tape. 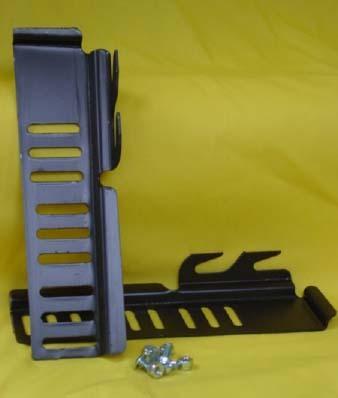 Accommodates widths up to 1"
Apex items are known for their durability. 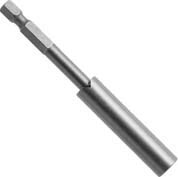 Each item is precision machined from the finest steels and heat treated to achieve a long lasting tool life. 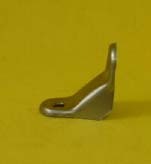 ACR Bits have wing faced ribs on the pointed tip to lock into the screw recess helping to reduce slippage. 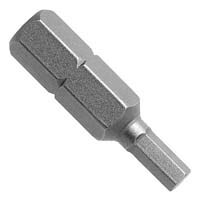 ¼" Hex Drive Slotted/Blade Bit. 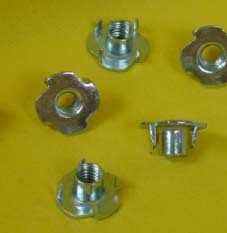 fasteners by simply gliding the bit. 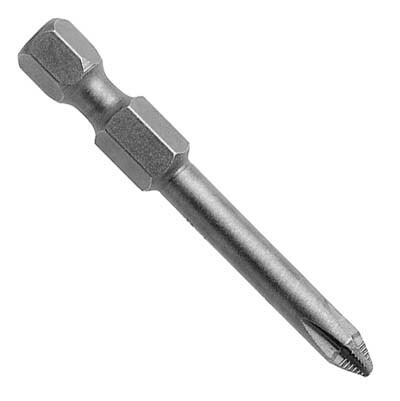 Use to convert socket Wrenches to Offset Driver. 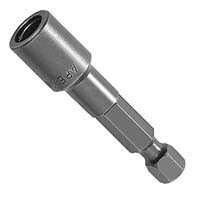 Female end joined with Socket Wrench, opposite end holds ¼" bit securely. 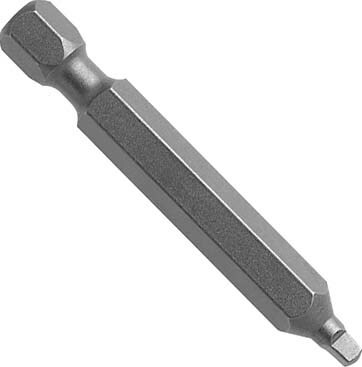 Stubby Magnetic Hand Driver accepts all ¼" Hex Drive Bits. 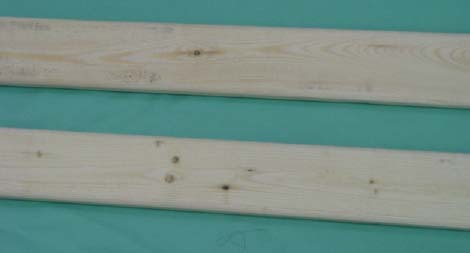 Overall length is 2 3/8" (excludes bit size). Use for driving Sockets. ¼" Hex Drive end secured in Drill Chuck while square male end fits into socket. Use with a bit holder for extension. Hand held driver. 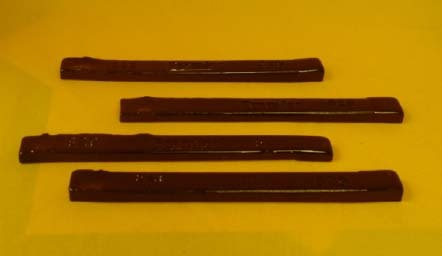 Seven driver bits stored in handle (Phillips, Slotted and Square). Magnetic bit holder. 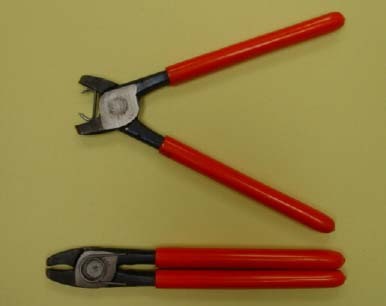 Overall length 8 1/2" (excludes bit size). 1/4" Hex Drive to 6 point Hex opening. 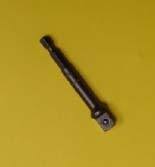 Use to drive (or fasten) Hex-Head Fastners including Hex Tap Bolts or Hex Lag Screws. Bolt clearance Nutsetters allow bolt to recess into Nutsetter body as nut is driven down. 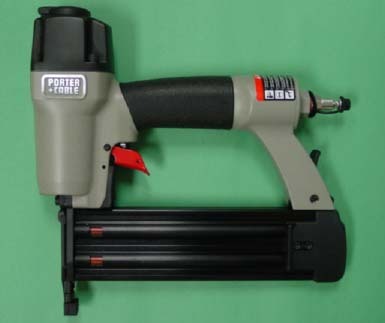 Brad Nailer uses 18 Gauge Brads from ¾" to 2" Pneumatic. 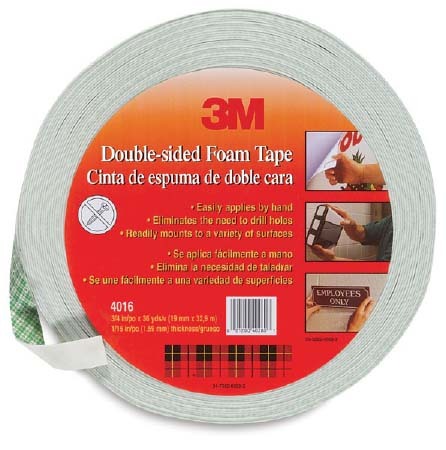 Excellent for Trim Work, Moldings, etc. Brads are 18 Gauge. 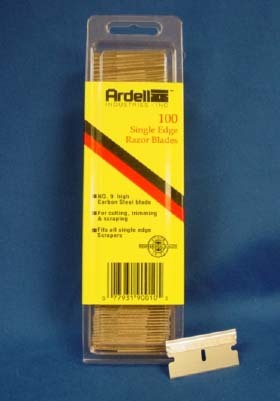 5000 Brads per box available in 6 different lengths. Bevel gear driven offset driver. Excellent for those hard to reach areas including: removing case tops, mechanisms, and centerdrawer glides. 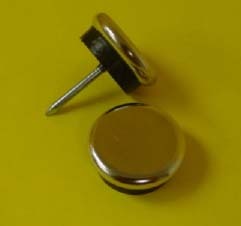 Magnet Head can be removed from handle and placed in Cordless Drills. Stabilizer wing provided for better grip. Removable handle has compartment for Bit Drivers. Accepts ¼" hex Drive Bits. 4 bits included. 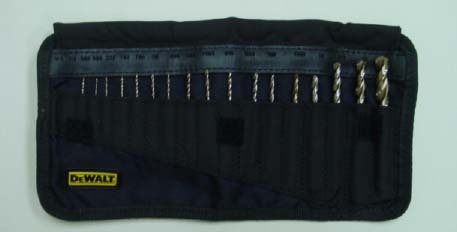 17 Piece Drill Bit Set. Durable pouch for storage included. High speed steel made in the USA Drill bits. 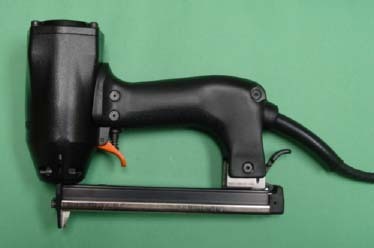 Electric stapler-excellent tool for upholstery and light wood assembly. Great for in home service and shops. 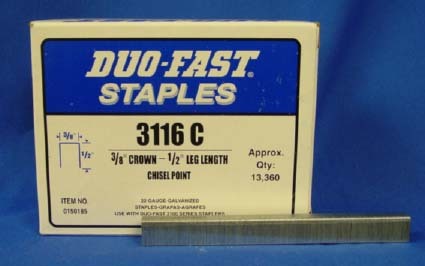 Uses 3100 series staples. 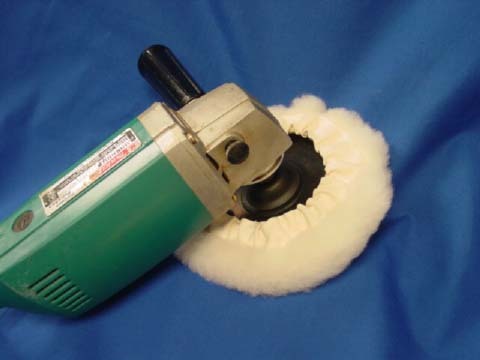 Pneumatic, use for upholstery or light woodworking, lightweight with rubber comfort grip for easy handling. 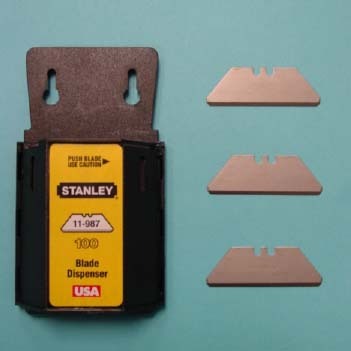 Use 3100 series staples. 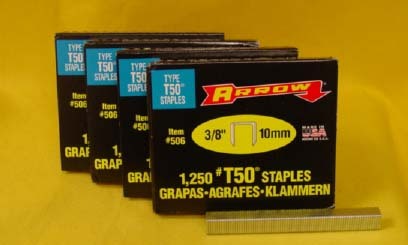 3100 Series staples use with 3100 series staples. Easily removes staples. 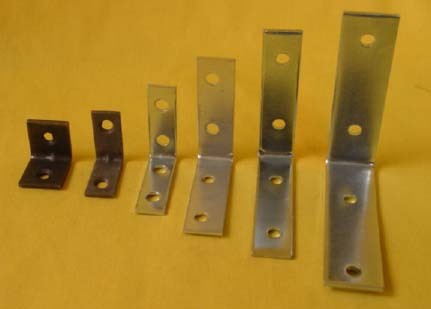 Top grade hardened steel. Sharp points to dig in and pry staple. Lifter curved at correct angel for staple removal. 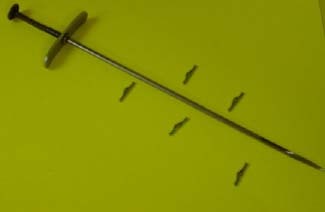 Straight staple lifter with wooden handle, sharp pointed tempered steel. 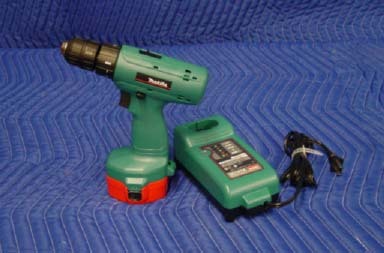 POLISHERS, DRILLS, ANGLE DRILLS, SANDERS, NAILERS, ETC. Use for blind tacking. Creates a nice straight seam. Use for skirts, outside backs, and arms. Cardboard strips are excellent for service vans-lays flat, no unraveling. 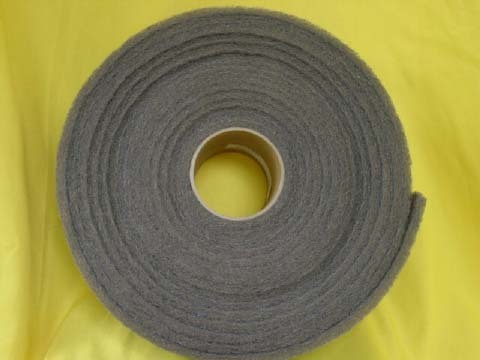 U303 ½" Hard Cardboard Roll Approx. 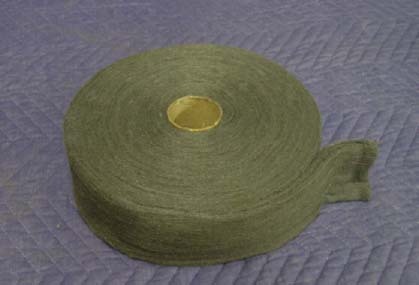 575 ft.
U304 ½" Soft Cardboard Roll Approx. 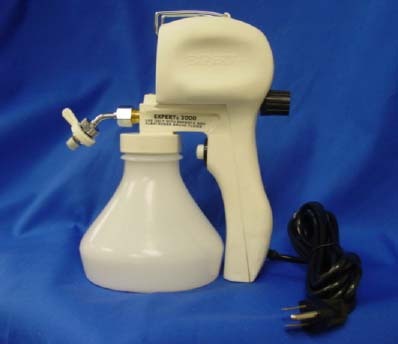 450 ft.
Spot cleaning upholstery/textile cleaning gun. Pumps a powerful spray of cleaning fluid which quickly aids the removal of grease, oil, makeup, and ink stains. 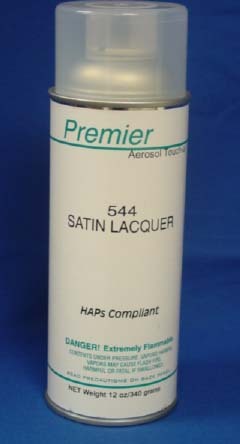 Will clean delicate silks , polyesters, wools and tightly woven fabrics. Simply adjust the variable spray nozzle to achieve desired pressure and spray pattern. 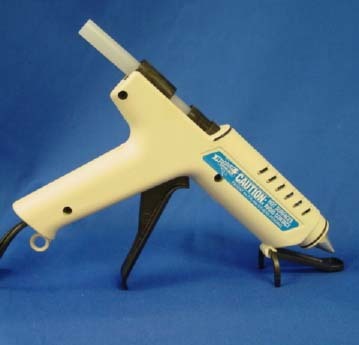 For use with non-flammable cleaning solvents only. 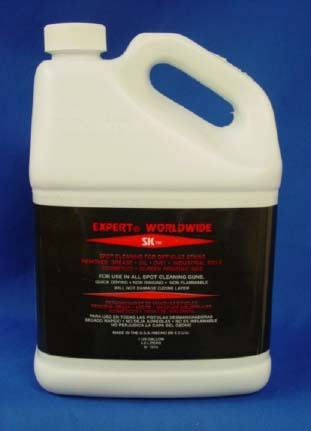 SK1 Upholstery Cleaner Reccommended. 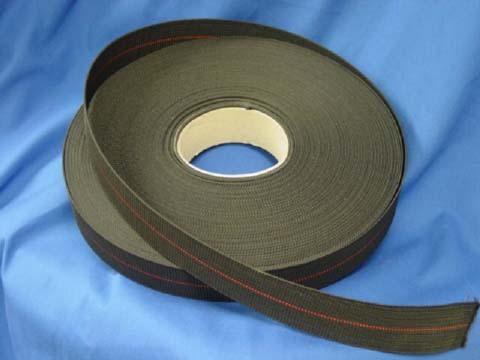 2" Webbing used to increase firmness in seating. 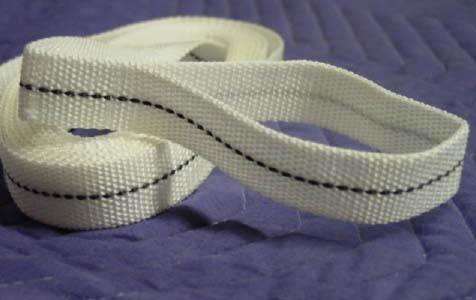 Weave webbing between springs, pull tight, staple, or nail to frame. *Other sizes, colors, available upon request. Polished ¾" rings with sharp points. 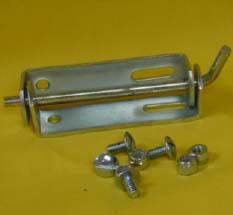 Use for attaching springs and edge wire together. 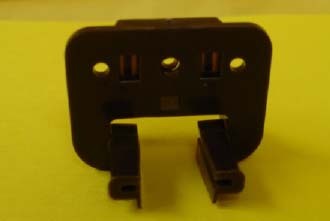 Heavy duty, 3 prong, flexible metal tacking strip. 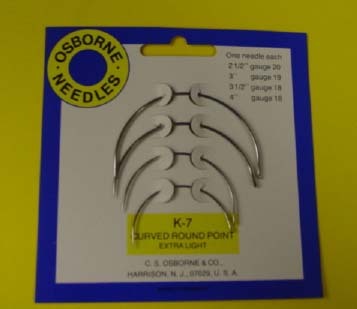 Eliminates hand sewing of blind stitching on curves. 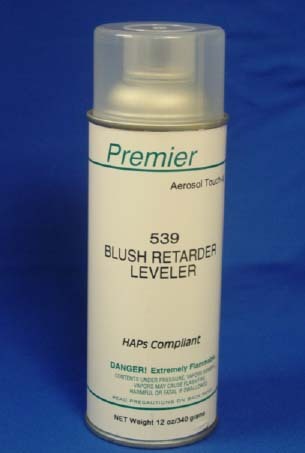 Use on rolled arms, etc. 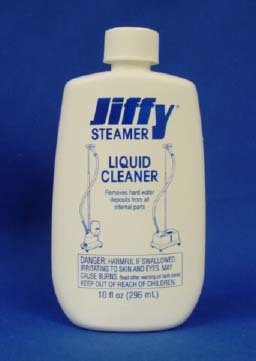 Portable hand held steamer. Great for outside service calls or quick fix inside work, Up to three times more power than other portable steamers. 8 oz. water reservoir for over 15 minutes of steam per filling. 120 volt 600 watts, 9' power cord. Most powerful commercial model, water is self contained. 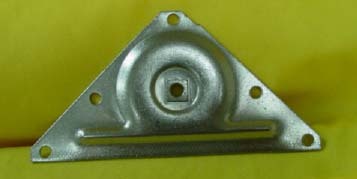 Aluminum housing unit features water level sight gauge. Preheat steam settings. 5 1/2" hose with metal hose holder stand. 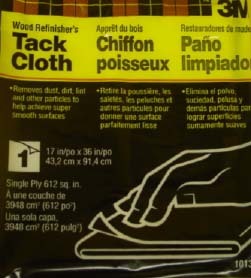 Excellent steamer for removing wrinkles from fabrics. Quick heat up time, rolls on casters. 1 gallon water reservoir, no spill check valve cap. 5 1/2" hose with metal hose holder stand 1300 watts. 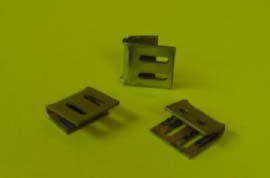 Multiple purpose nails can be used to secure spring clips and for general purpose applications. Available in 1 pound boxes. 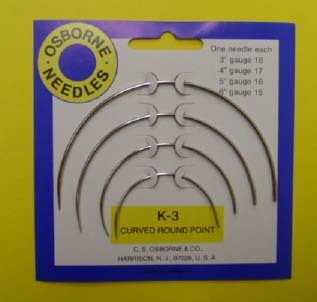 Contains 4 curved needles, round points. 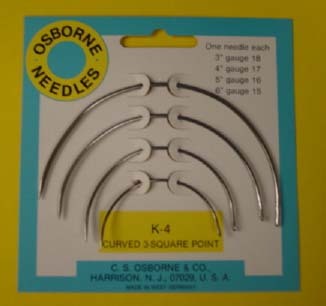 Contains 4 curved needles, 3 square point. 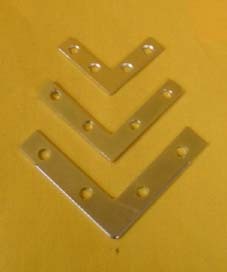 Provides a smooth straight edge for attaching fabric to frame. Metal strip has soft rounded edges. Gentle on your most delicate fabrics. 30" length with 8 ounce tack. 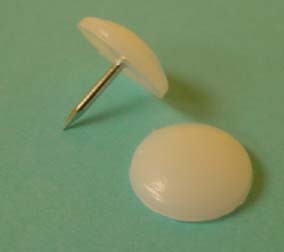 Tufting needle fastens buttons, saves time. 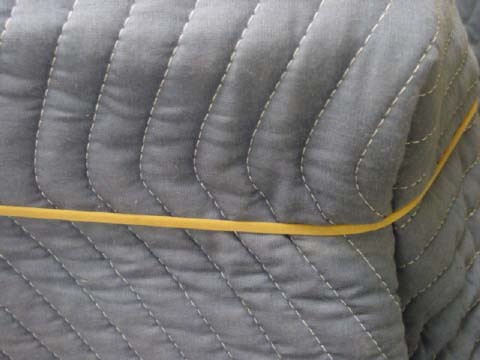 No need to remove the outside back of a piece being tufted. 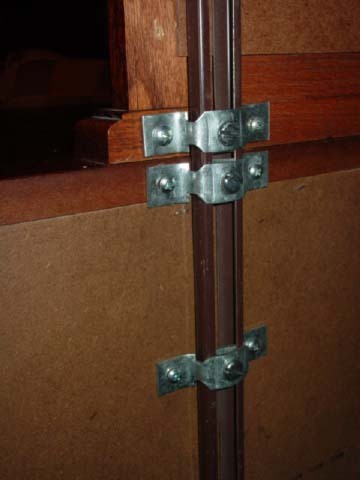 Twist pins are used to secure arm couch covers or fabric samples to furniture. 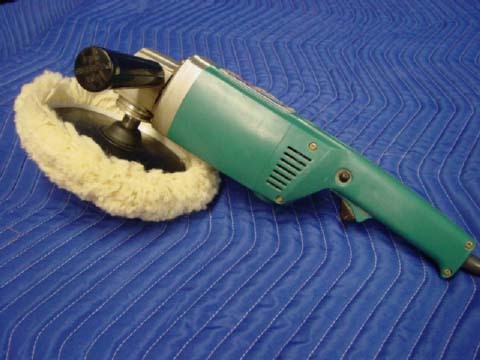 Upholstery bent trimmers, professional quality. Inland polished blades, black handles. 20 10" 4 ¾" 12 oz. 22 12" 6 1/8" 18 oz. 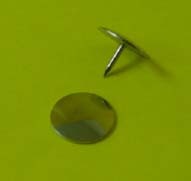 Shown with U301-100 metal tack strip inside of soft edge. 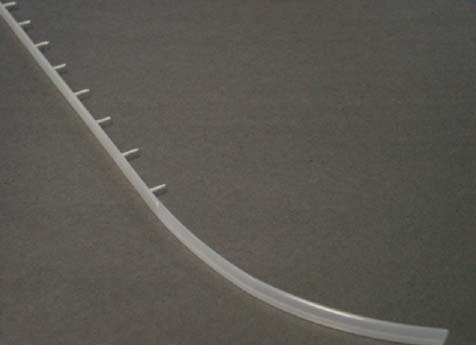 Plastic sleeve into which metal tack strip slides into. Which provides added protection against tearing. Use to attach springs to frame. 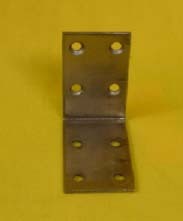 Can be secured with nails, screws or staples. All clips are paper lined to prevent squeaking. Sold 100 per box. Great way to remove wrinkles without ironing or steaming. 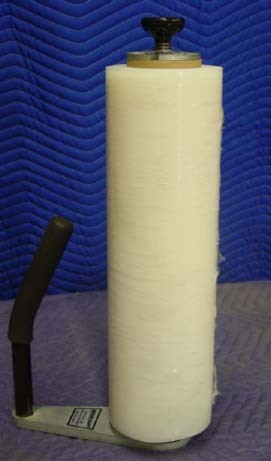 Works great on all natural fibers (cotton, linen, wool and many synthetics such as spun rayon) Sold in quarts with trigger sprayer and gallons for refills. 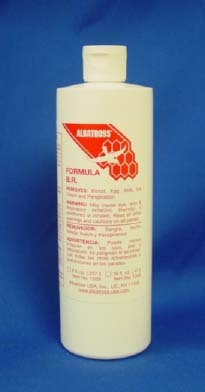 Highly concentrated non-flammable formula. Removes blood stains from all materials. In addition the product removes food and perspiration stains. Safe on all colors and fabrics. Flush with water or steam. Contains a unique formula designed to clean dirt, grime, and smears from leather. Revitalizes and moisturizes to keep leather soft and supple. Restores luster. 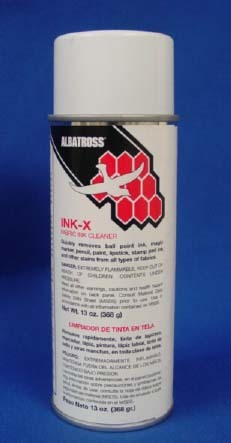 Powerful aerosol spray that dissolves all types of ink stains. 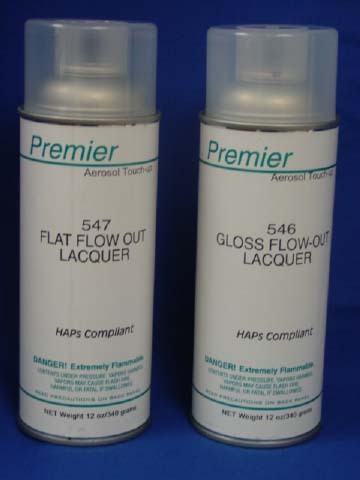 The remover's foaming action breaks the bond between stain and fabric which does not contain chlorinated solvents. Flush with liquid cleaner solvent. 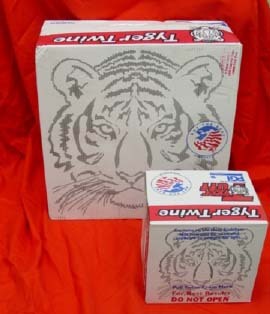 Powerful liquid solvent blend in an aerosol can. 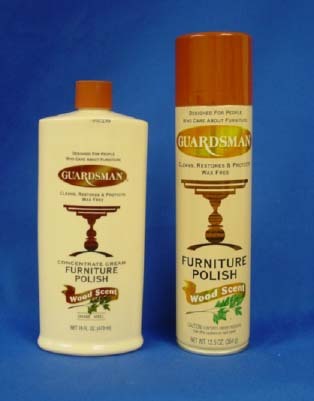 Removes oil, grease, dirt, and stains from upholstery and textiles. 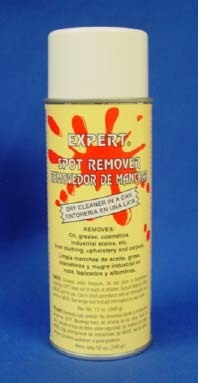 Industrial spot/stain remover. Effectively removes oil, grease, dirt, pencil, and other various oil-based stains without damaging fabric. Does not leave a ring around stain after use. Nonflammable, fast evaporation rate. 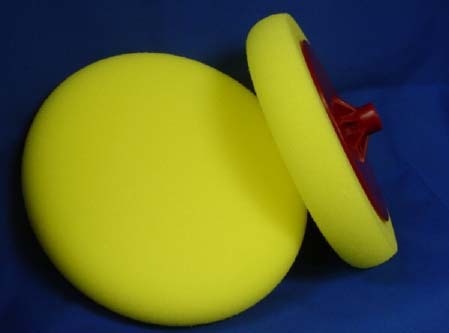 Reccommended for use with SP3000 Cleaning Gun. 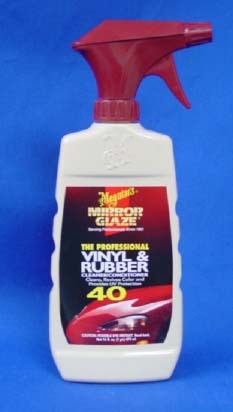 Cleans, penetrates, and restores vinyl leaving a natural sheen.